Lisbon, Lisboa in portuguese, is the capital city and largest city of Portugal with a population of 547,631 within its administrative limits on a land area of 84.8 km2. The urban area of Lisbon extends beyond the administrative city limits with a population of over 3 million on an area of 958 km2, making it the 11th most populous urban area in the European Union..
Lisbon is one of the oldest cities in the world, and the oldest city in Western Europe, predating other modern European capitals such as London, Paris and Rome by hundreds of years. Julius Caesar made it a municipium called Felicitas Julia, adding to the name Olissipo. Lisbon enchants travelers with its white bleached limestone buildings, intimate alleyways, and an easy going charm that makes it a popular year round destination. 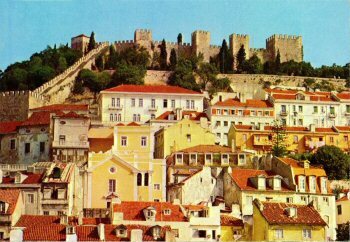 Lisbon enjoys a warm climate, with mild winters and very warm summers. Strongly influenced by the Gulf Stream it is one of the mildest climates in Europe. Among all the metropolises in Europe, here are the warmest winters on the continent, with average temperatures above 15.2 °C (59.4 °F) during the day and 8.9 °C (48.0 °F) at night in the period from December to February. The city stretches along the northern bank of the river Tejo as it flows into the Atlantic Ocean. As the terrain rises north away from the water, steep streets and stairways form the old tangled neighborhoods or give way to green parks in the western suburbs. When planning your holidays in Portugal include your Lisbon Car Hire online reservation in your early holiday plans. Making your Lisbon Car Hire reservation ahead you guarantee car hire availability and lower prices and when you arrive your preferred rental car, booked in advance, will be waiting for you at Lisbon airport.